Summer Makes A Grand Entrance! We all waited…and waited…and waited. Lakes Region athletes endured one of the worst Winters and early Springs in recent memory. Many stayed indoors, logging seemingly endless hours on the trainer. Others jumped on the Fat Bike train and rode the winter away until the bitter end! And then May happened. The temperatures soared from 40 to 80 almost overnight, our shop filled to capacity with awesome new stuff, and our labor queue became jam-packed! Now, we arrive into June with a full head of steam, and with our new Summer Hours, we are even more prepared to help you with your service and product needs! 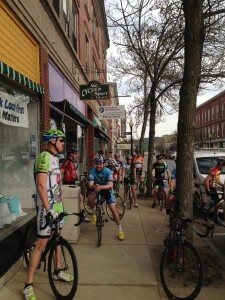 We began the Monday Night Ride a couple of weeks ago, and the crew is getting larger every week! Last week, we had upwards of 30 folks come ride with us, and we are looking to hit that 60-70 mark over the next few weeks! Bring your friends! Intermediates leave at 5:45 from Ellacoya, and the Social Ride starts at 6! See you Monday! Our Tuesday Night Ride has been well-attended since the beginning of March, and we are consistently in excess of 15 people. 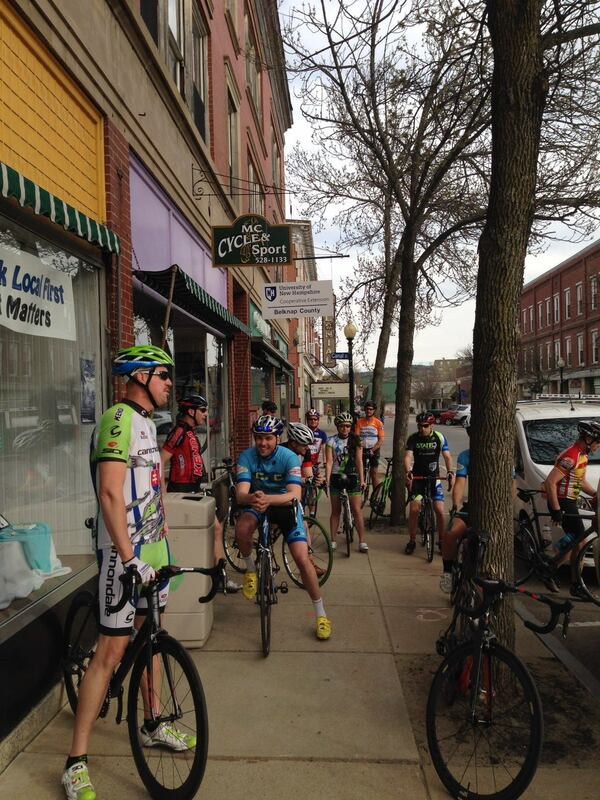 The Tuesday Ride is a more advanced ride and leaves the shop at 5:30. It features lots of climbing, and a solid workout. Notably, if you are weary about joining up with the Tuesday ride, come test the waters on the first Tuesday of every month, as it is a NO DROP ride! Feel free to call the shop with any questions you may have! 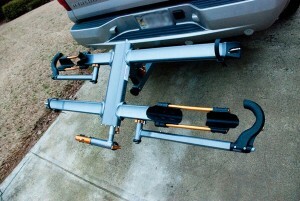 The bike rack world has been dominated in the last decade by Thule and Yakima. A new and exciting company is now bringing stylish price point auto racks into the game! Swing in and check out our great selection of Kuat Racks! These functional racks are head turners! We’re holding steady on our promise to ‪#levelup‬ this year, with more rides and more fun! On Saturday May 2nd, we began what will soon be called our Saturday Morning Waffle Ride, when Wayfarer Coffee Roasters – Laconia, NH opens! 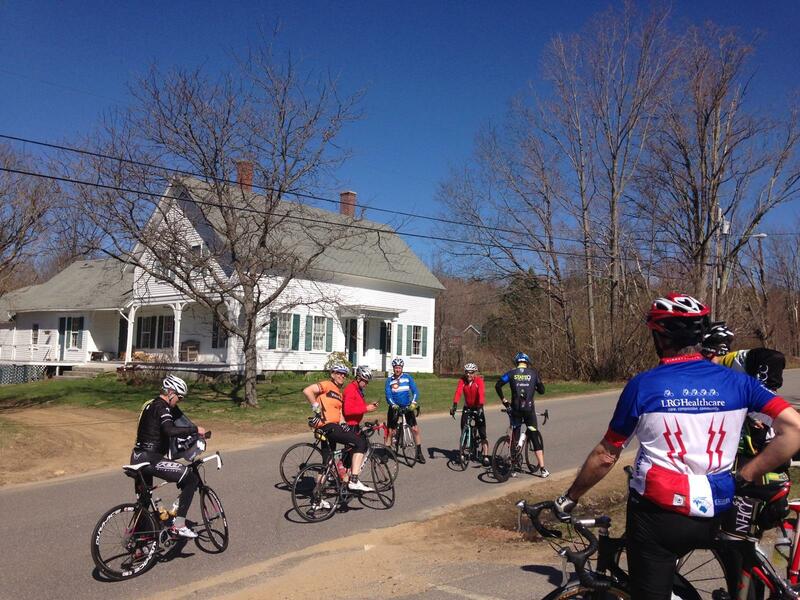 The ride is a group endurance ride of 15-20 fun people, with a duration of 2+ Hours at 15-17 miles per hour. It leaves the shop promptly at 8am. 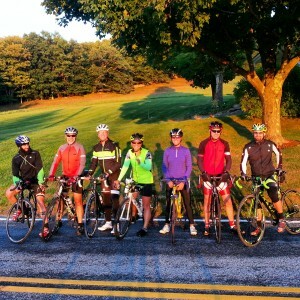 Looking for more people to do longer rides with? This is the ride for you! See you Saturday!!!! Dustin “Dusty” Mason joins the MC Crew! We are amped to have reigning Cat 2 National Gravity Champion on board! 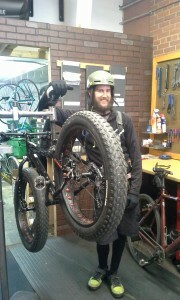 Dusty brings extensive technical knowledge and skill to the shop, featuring fork and suspension servicing. Need help setting up your suspension for your preferred style of riding? He’s your guy!! 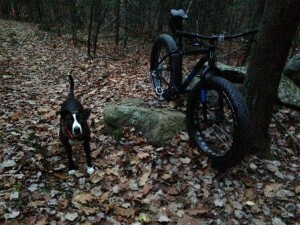 Dusty to lead Thursday Night Mountain Bike Ride! 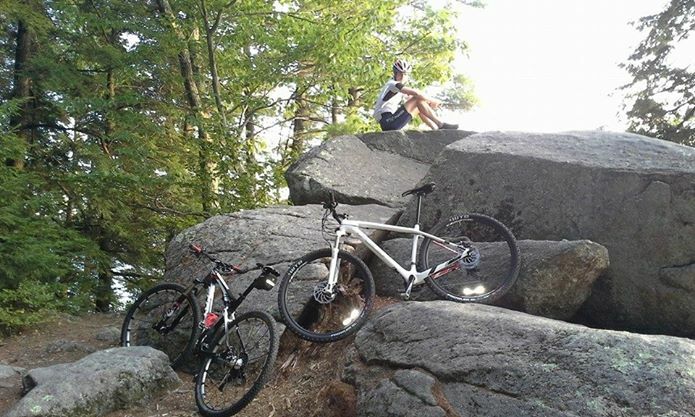 Beginning June 4, Dusty will be leading a weekly cross-country mountain bike ride at different venues every week, rain or shine! Join us tomorrow at Ramblin Vewe Farm in Gilford at 6pm… Boyd Hill Road entrance! Stay posted on our Facebook Page for updates as to where we will be riding off-road every week! 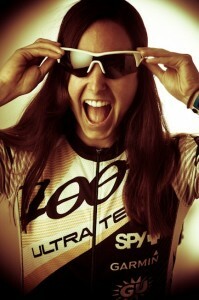 We are really excited to announce the addition of Dusty Mason to the gang here at MC Cycle and Sport! 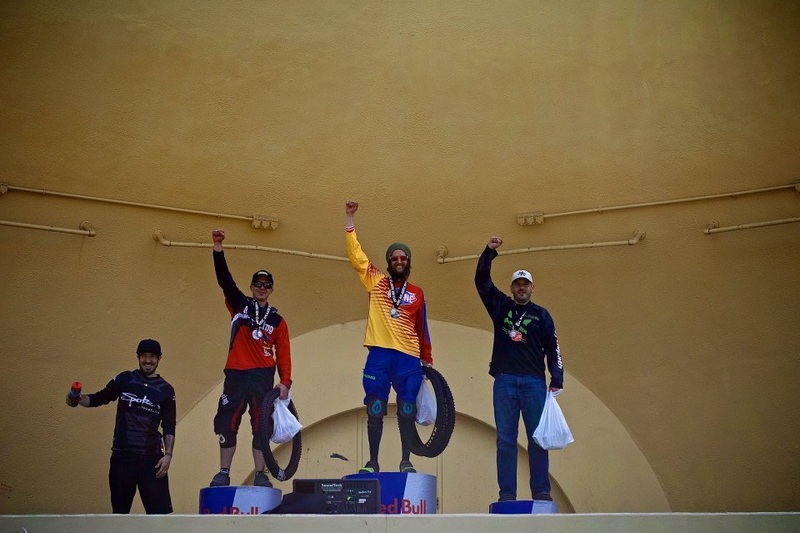 Dusty won the Cat 2 Gravity National Championships in Angelfire, NM last year, and brings extensive knowledge of ALL things mountain bike to our shop. 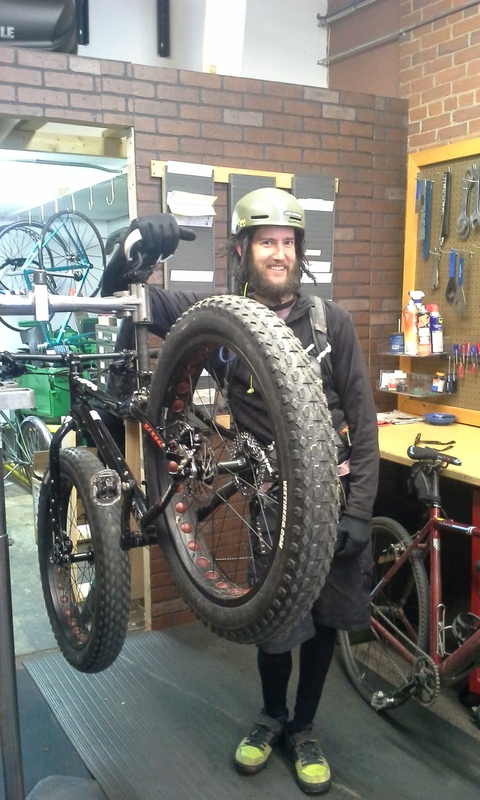 Hailing most recenty from Telluride, CO, he is a high-level Barnett Certified mechanic, he is an expert at fork rebuilding, and fine-tuning suspension for your specific style of riding! An accomplished downhiller, he is equally adept at cross country riding, and will be leading an all-abilities mountain bike ride beginning later this Spring! Stay tuned! In the meantime, click this link (IMG_0823) to see him ripping up Cat 2 Nationals with a race-winning ride! We are very proud to announce our joining of forces with Pro Triathlete, and Ironman Champion Amber Ferreira for next year! Amber’s unassuming, good-time personality, mixed with a deep passion for the sport of triathlon and work ethic, make her a perfect match for our shop. She’ll be able to bring a new level of enthusiasm, expertise, and experience to our clinics and group workouts in the upcoming year. In return we will be able to provide Amber with the service, equipment and knowledge she needs to continue competeing at her level. We are looking forward to a great new year with Amber on board! Early Snow…Get Ready to GO! There is so much on tap for this winter that we can barely get our heads around it. The season is simply too long to not embrace it! We are going to make it our goal to help you find your winter sport of choice…whether it be cycling, snowshoe running, or skiing! We are also excited to announce that going into our 10th year of business, we are celebrating by working with Pearl Izumi to design an awesome custom MC Cycle and Sport cycling kit… to be available for sale in the new year! Preliminary designs look very sharp! A solid foot of snow fell here in the Lakes Region Thanksgiving week, and we were able to get out and do some skiing at Gunstock Nordic! While that snow has since gone away, next week is looking full of promise! Won’t be long, and we’ll be skiing daily! Notably, Gunstock Nordic Association will be hosting a group Nordic Ski Workout at their clubhouse on Sundays, beginning on 12/14 at 8:30am! Email Kale at kalepoland@yahoo.com for more details! While our Saturday Roving Trail Runs have temporarily come to a close due to increased holiday traffic at the shop, we will be looking to resume those after the New Year….and they shall be SNOWSHOE RUNS! Stay posted for info on whereabouts and times! When was the last time you checked out our Used Bike Blog? 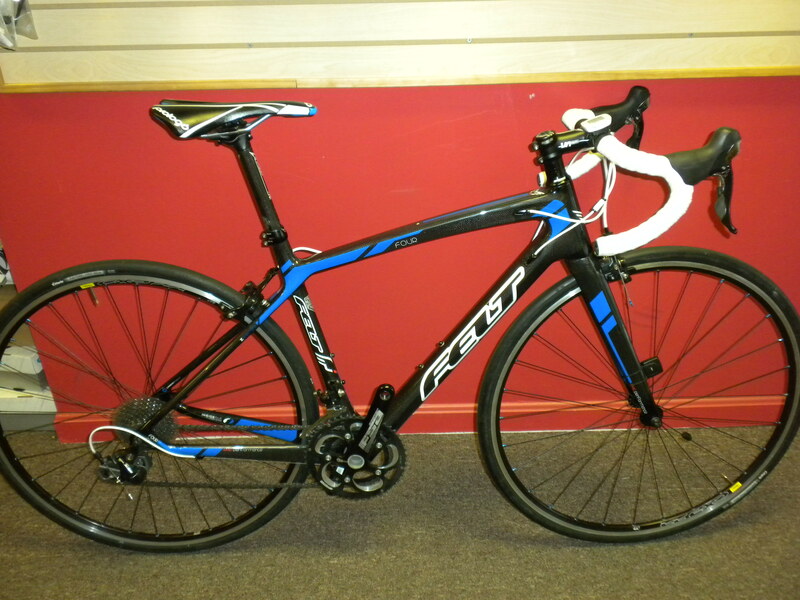 ‘Tis the season to upgrade your bike! Could a gem like this one be yours??? I don’t think this flyer needs a caption. 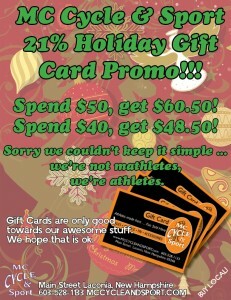 We do this sale every year, and every year, it is a HUGE HIT! 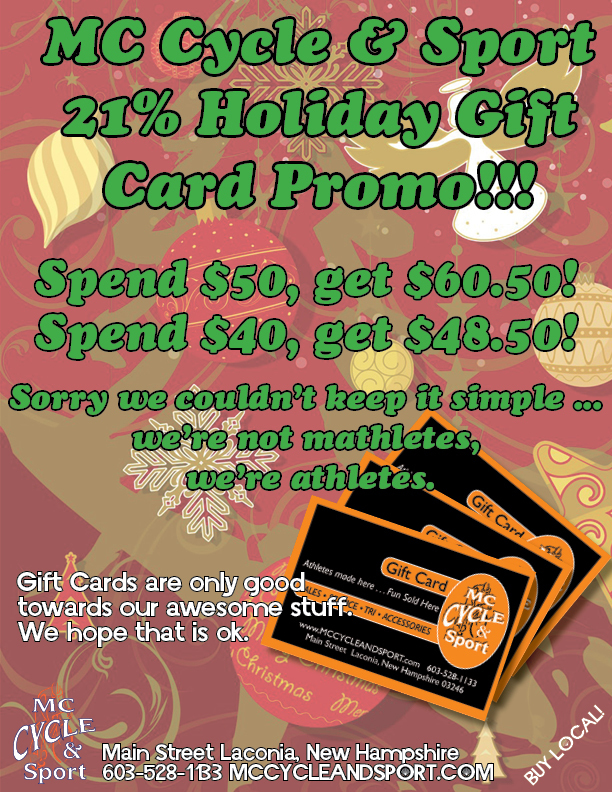 Every athlete on your list needs an MC Cycle and Sport Gift Card! Holiday spirit began early this year! 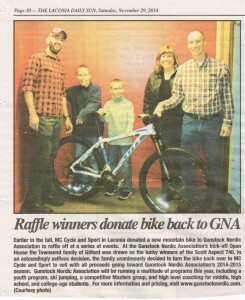 Earlier in the fall, we donated a brand new mountain bike to Gunstock Nordic Association to raffle off at a series of events. At the Gunstock Nordic Association’s kick-off Open House on November 8th, the Townsend family of Gilford was drawn as the lucky winners of the Scott Aspect 740. 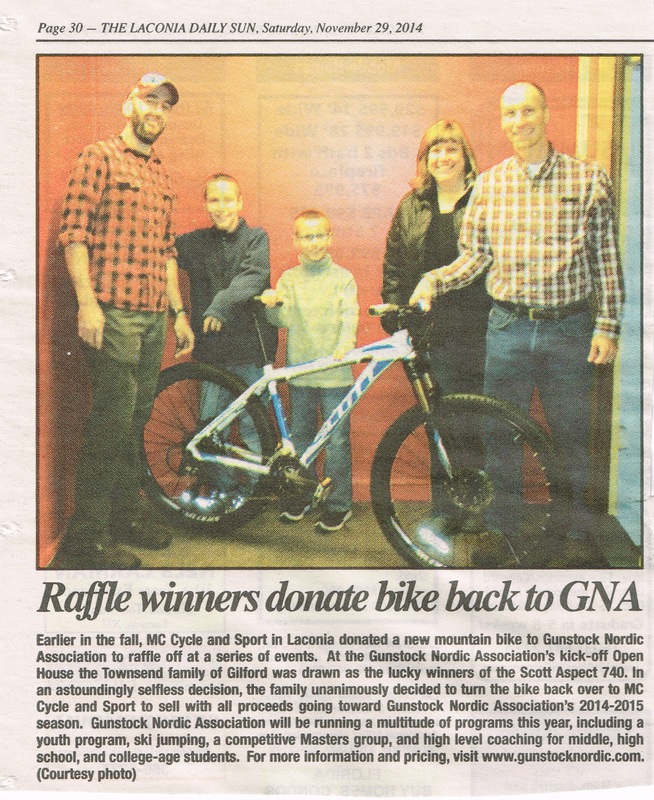 In an astoundingly selfless decision- especially for a family with two young boys- the family unanimously decided to turn the bike back over to MC Cycle and Sport to sell, with all proceeds going toward Gunstock Nordic Association’s 2014-2015 season! When the cold and snowy weather arrives here in New England, there comes a time when athletes have two choices. They can let their fitness slowly decline until March, where they are forced to “get back into the routine” and face an agony of weeks until some semblance of fitness comes back around…. or they can train different muscle groups at a high intensity, and come out swinging when the couch surfers are just getting started again. Here in New Hampshire, there are so many options! 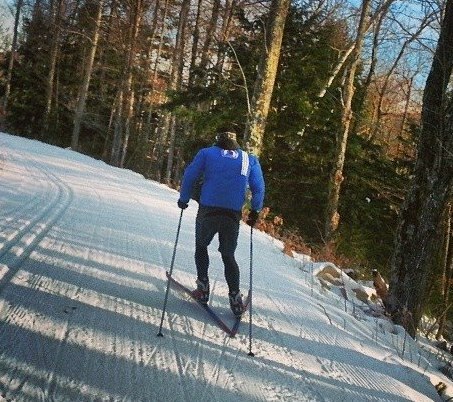 Winter hiking, nordic skiing, fat biking, and one of our favorites: SNOWSHOE RUNNING! Few activities will get your heart rate up as quickly as snowshoe running, and the low-impact nature of running on forgiving snow makes it the perfect cross-training activity for just about anyone! A solid snowshoe running winter will have you cycling stronger, running hills(up and down) faster, and your overall leg strength will be higher than ever before! We’ll start with the snowshoes! 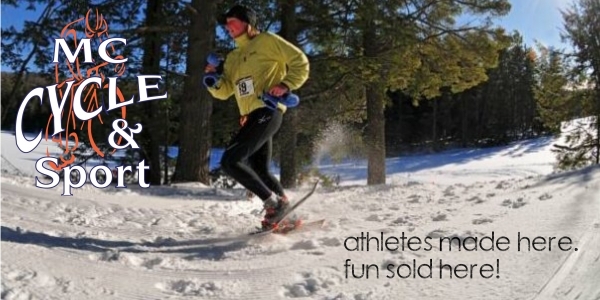 We carry the most prominent name in running snowshoes: Dion. Why? -They are made right next door in Vermont! -They have easily interchangeable bindings and cleats for any surface! There’s a term called Functional Surface Area (FSA), and the less FSA a shoe has, the lighter the shoe will be, and the easier it is to run in them! In snowshoe racing, the minimum FSA is 120″. At the bottom end of the FSA spectrum, and high end of the market, is the Model 121. It is the fastest and most narrow shoe in the market, which allows you to run without adjusting your gait as much as you might with a wider shoe. The training shoe in the Dion brand is the Model 132. They are slightly wider, and therefore a little heavier (only 5 ozs), but still designed with running in mind! Note that the 132″ of FSA may also give you a little more float in the deeper snow, so if you aren’t racing, and have a tendency to do a little more trail blazing while running, this slightly less expensive model may be the one for you! 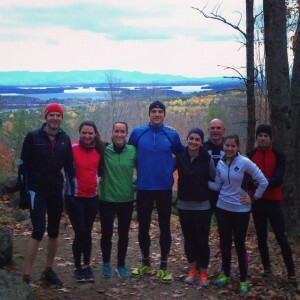 As soon as there is enough snow to run on, our Saturday 7am Roving Trail Runs will transition directly to Snowshoe runs at the local parks and trail systems in the Lakes Region! We have demos for you to try out there! Stay in tune with our Facebook Page for info as to where we’ll be running! Pretty confident that you’re going to catch the bug? The US Snowshoe Association has just presented their Winter 2014-2015 Calendar! CLICK HERE to see where there are races near you! Questions, comments, and concerns? You know where to find us! And so have the bikes! There was a time when November meant doldrums in the bike shop. That time is no longer! We are coming off our busiest October yet, and excited about rolling into November and December with a slew of new bikes and activities to keep you motivated! 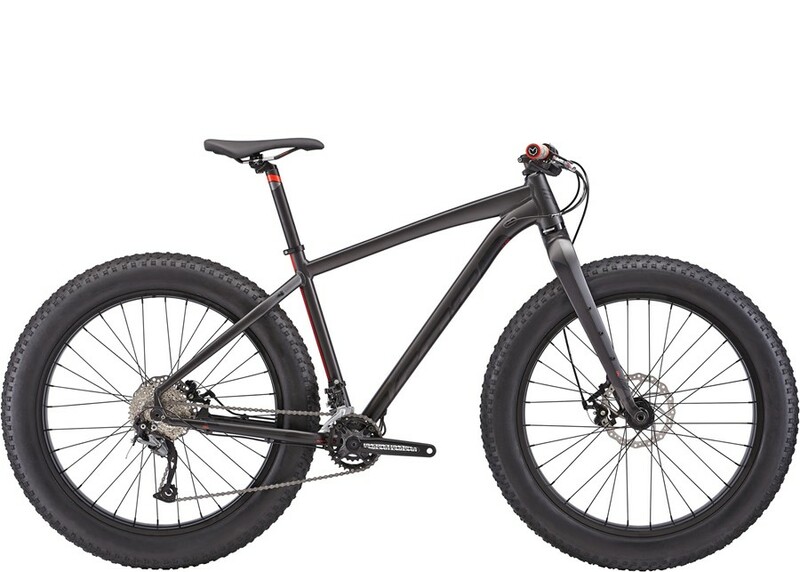 If you follow us on Facebook, you already know that Fat Bikes from Framed have already arrived, and we are excited about Felt’s Double Double Fat Bikes, arriving in just a couple of weeks! So much going on in and around the shop right now! Our Roving Fall Trail Runs on Saturdays have been a fantastic success, with all abilities showing up and enjoying the beautiful fall scenery! Follow our Facebook, as we’ll be posting there every week as to where we are headed! 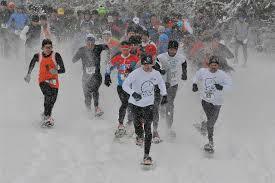 Not only are we running just to run, we are running as a precursor to run on snowshoes as soon as the snow flies! 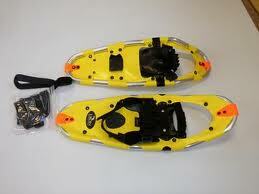 We already have Dion Snowshoes in stock! Fully customizable to snow conditions and binding preference- and made in Vermont! Come check them out! There is a time when bundling up and going outdoors with full light systems just won’t work out. For that, we give you…Kurt Kinetic Trainers. 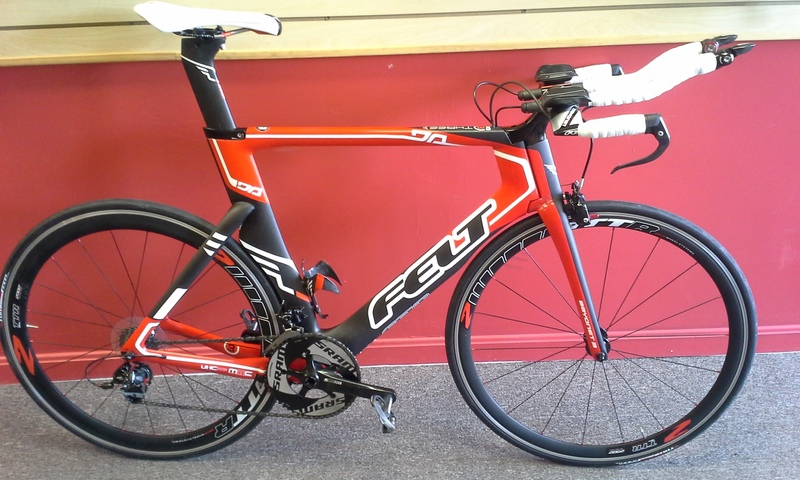 From Wind resistance to Fluid, and everything in between, we can make your bike a stationary one, for all budgets! Do you long for a zen-type workout that is fast and fun? 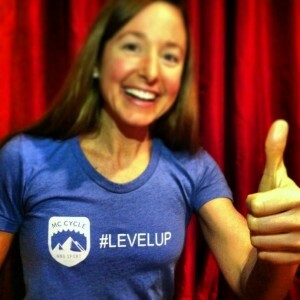 Do you want to add a new set of skills to your athletic repertoire? 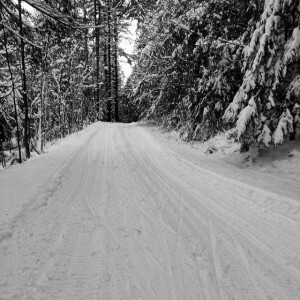 There is no better way to do both of those things than Cross Country skiing, and no better club to do it with than Gunstock Nordic Association! Whether you want to tour and shuffle along with family and friends, or train to race with a serious group, GNA can accommodate! Whoa! We have over 90 bikes in stock! 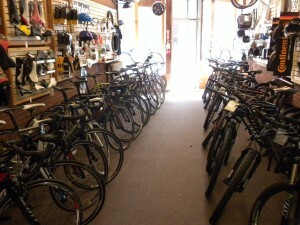 Kid bikes, hybrids, cyclocross, mountain bike in all wheel and tire sizes, road bikes, and even a few USED gems! Now is the time to upgrade your ride, so you can get time on it before Spring arrives! October? Nope! We’re Ushering In Rocktober! We had an AWESOME spring and summer, and the momentum is swinging full force into Autumn, in a way that we’ve not seen before. What if the Fall was not the winding down point? What if it is a launch of things to come? We believe this to be so! There are fantastic opportunities to stay fit and active…more than ever! 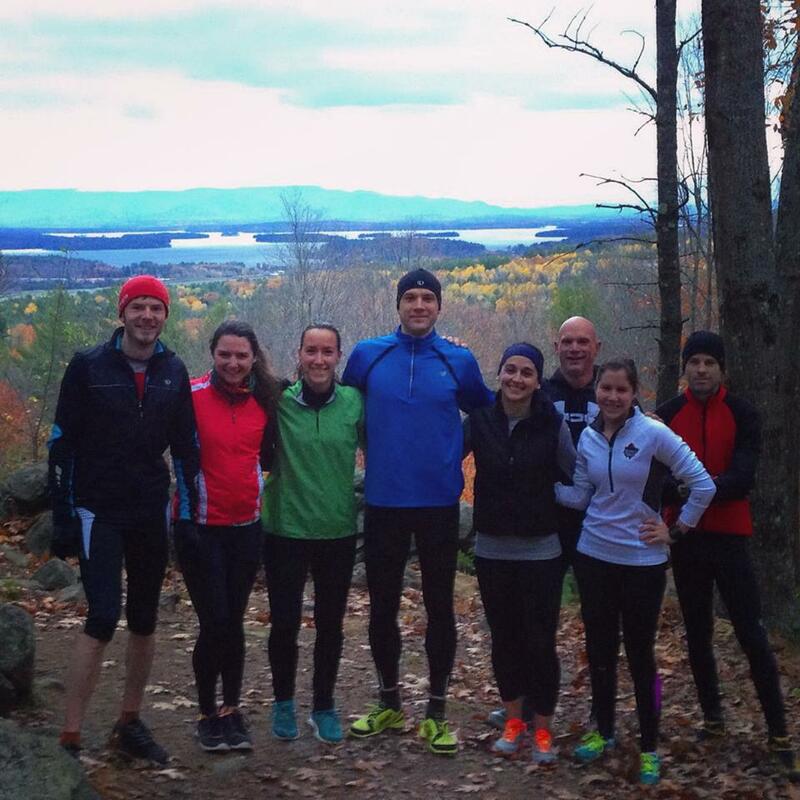 While we are sad to see the last Monday Night Ride end last night, we are excited to get our Fall Trail Runs under way! Read below for more info! Beginning this Saturday at 7am! This year, we shall not settle for the same old thing every week. We do a different trailhead every week! The shop still has an awesome selection of road bikes, mountain bikes, hybrids, and kid’s bikes…and the best part? Discounted pricing on all remaining 2014 models!!! 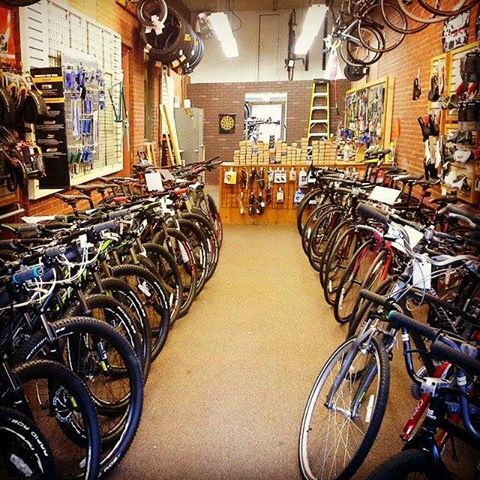 It will not be long until 2015 bikes are filling the store to a maximum capacity of awesomeness! Our good friends, the Capital Multisport Rogues, LLC of Concord have opened up their membership for the 2015 year! 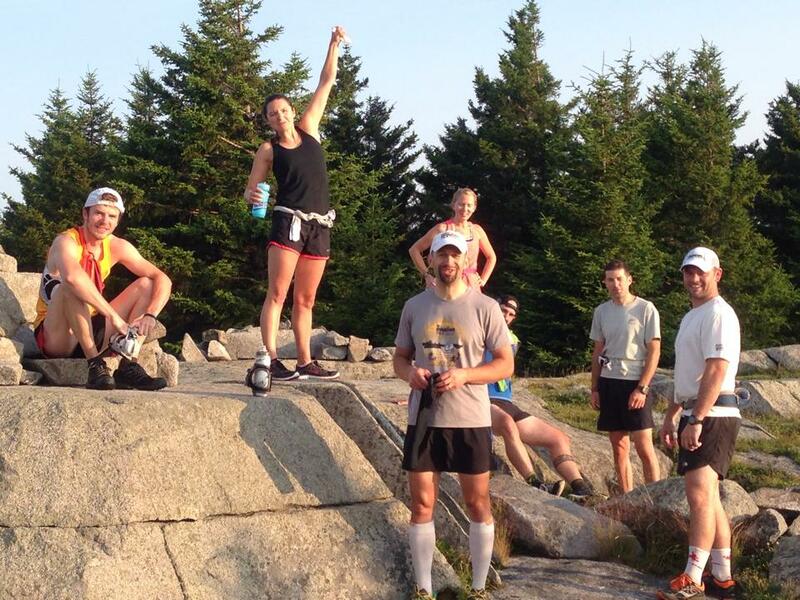 Join a fun, social group with tons of group workouts, training, and get-togethers every month. A great way to stay motivated through the winter! Email sputnikdave@earthlink.net for more info! Mountain Bike and Cyclocross season in full effect, fat bikes on the way! Stay tuned for more info! 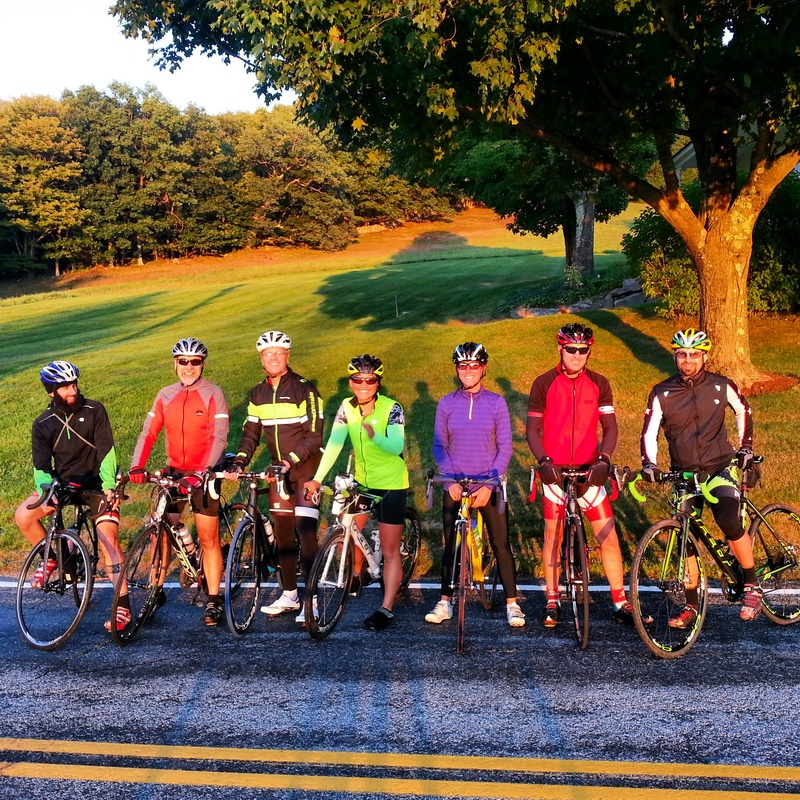 A few hardy souls ventured out on our Monday Night Ride last night from Ellacoya! 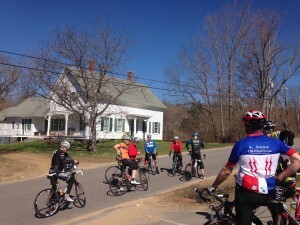 We toured around Gilford, climbing up Gunstock Hill Road, descending to Hoyt, and then back through Gilford Village and Potter Hill, where we snapped this shot! There were deer in the field behind us….that is until Barista Bob let out a whoop and scared them away! The sun was beginning to set as we made our way past Sawyers, and back to Ellacoya. Sure, the days are getting shorter, and the temperatures a tad chillier, but if you suit up, dress right, and outfit your bikes for safety with proper lighting, you’ll find this to be one of the best times of year to be on a bike!!! Monday rides will continue from Ellacoya at 5:45pm until 9/29! Join us! Also, a note that our Advanced Tuesday rides from the shop at 5:30pm will become a lot more mellow from here on. Bring the lights, reflectors, and warm clothes! Last year, we rode until the snow flew, and had upwards of a dozen people! It’s that amazing time of year, where the mornings and evenings are slightly cooler, yet summer still exists! Perfect riding weather! September always seems to break up the routine for cyclists. 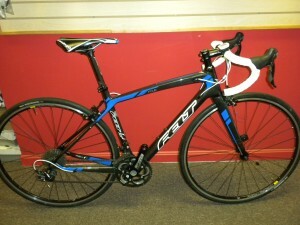 Many who have ridden road bikes are now turning to the trail, and vice versa. Whether you are racing or touring, it is a time to start taking the path less traveled, bringing out the bikes with knobby tires and hammering gravel roads and trails. For many, it is time to start thinking about the next season…. possibly shopping around for the next upgrade. And what a time to do so! Most brands already have full stock for 2015! MC CYCLE ON SOCIAL MEDIA! We’ve also recently joined Instagram. Follow along @mc cycle. And if you are still living under a rock and haven’t “liked” us on Facebook…DO IT NOW! COLD WEATHER GEAR ARRIVING DAILY! We are excited to add Endura cold-weather apparel to our lines this fall! This week, we began receiving the Men’s and Women’s Xtract waterproof/ripstop fabric jackets, as well as the Pro Jetstream III in men’s and women’s, seen below! A great multi-purpose piece to have your arsenal! Their Thermolite leggings are made with the athlete in mind: ergonomic body paneling and a sharp look…which as you know, is half the battle! And let’s not forget about the essentials! Gloves, arm and leg warmers, and BOOTIES! 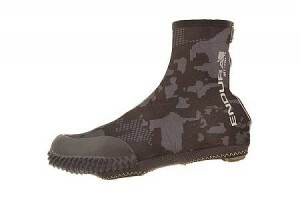 Endura’s MT500 Overshoe will GUARANTEE your feet stay warm and dry on the bike in all weather conditions. You’ve got to get a hand on these to see…these are some serious overshoes. Available in black or camo- shown below! Also, don’t forget! STAY SAFE on the roads as the daylight becomes less! We’ve got a full selection of headlights and tail lights from Sigma Sport and Cygolite, and reflective gear as well! This popular annual series used to be just an honor system Time Trial. While you can still do that anytime at the GNA Clubhouse every Wednesday from 9a-5p until October 8, you now have the option to race with friends at the Mass Start 5k, every Wednesday at 5:30pm. Show up at 5 to register! $10/race, or EVEN BETTER, $30 for the next 5!!! For more info, visit http://gunstocknordic.com/events/xc-run-series.aspx We’ll see you there!!! Monday Night Rides at 5:45pm at Ellacoya are still going strong, and will be until the daylight makes it no longer sensible! Stay in touch with our Facebook page for ongoing details. 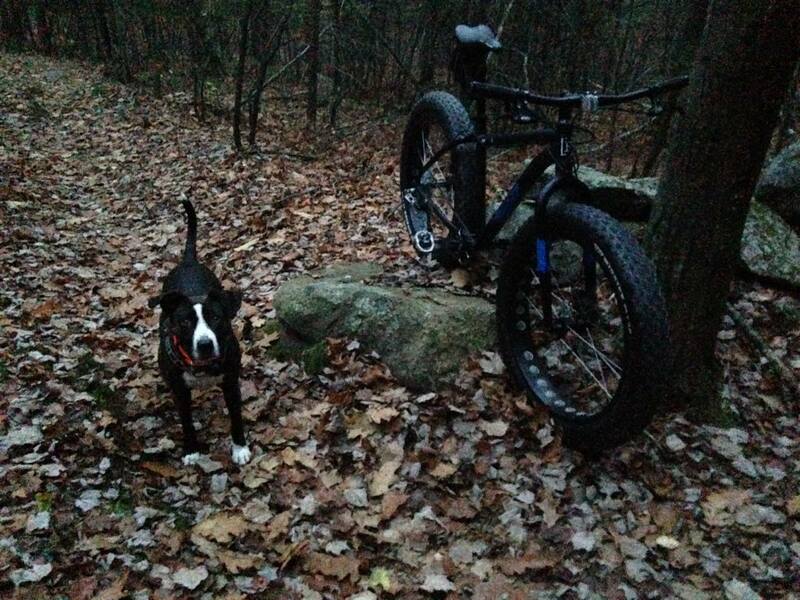 Tuesday Night Rides go until the snow flies, and after September go from fast to a mellow ride. Get the lights ready! 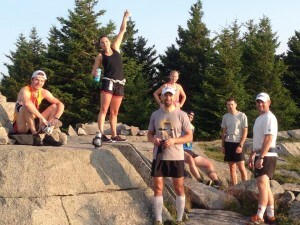 Also, look for the return of our popular Fall Group Trail Runs, beginning in October!! !